Jewelry to fit your style.... We carry a variety to custom and designer jewelry for every style and personal taste. Our friendly and approachable staff will help you find the perfect gift for someone special or even something special for yourself. We can even design a one-of-a-kind piece just for you. Easte Towne Jewelers is located inside East Towne Square Mall at 1515 Mequon Road, Mequon, Wisconsin. Visit us today. East Towne Jewelers carries only the most distinctive and unique jewelry designers. Visit us in the store to see amazing pieces from these and other designers. Our customers have come to expect unique and high quality pieces. For that reason, we're selective about the designer lines we carry. From those collections, we choose a great variety of pieces not only for special events, but also pieces you can wear for a night out, to work or just every day casual. What's better than a custom piece of Jewelry made just for you? To us, custom jewelry can be: a new piece of jewelry we design for you or repurposed stones from an old piece to create something new. 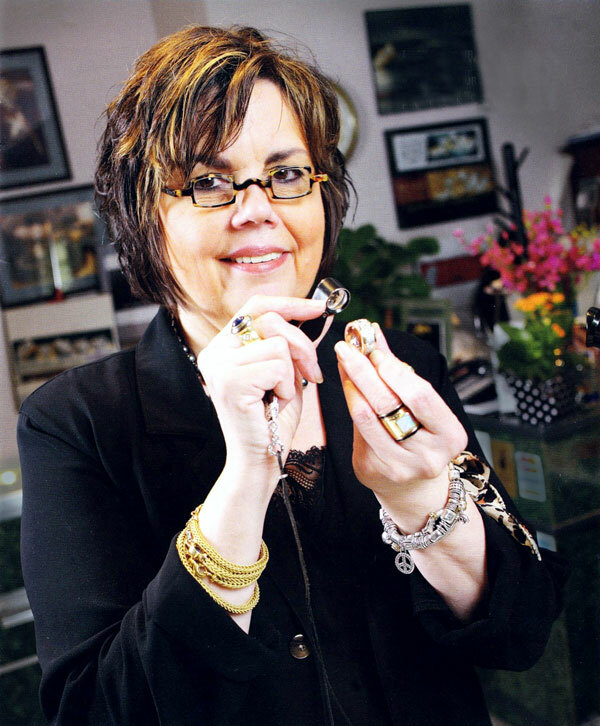 To our customers, custom jewelry is a one-of-a-kind piece made just for you. From one-of-a-kind to classic jewelry styles. East Towne Jewelers Custom Designer will spend time with you discussing what you like. Then create a special jewelry design that is just what you are looking for. We can work with you to "recreate" an old piece of jewelry you no longer wear. Stones from a bracelet can be used to design a new ring or earrings. We'll help you create something new you really love. Whether a simple repair or a complete restoration of a heirloom piece, we can make it new again. We approach each piece with the utmost care and work with you to bring those broken or old pieces of jewelry back to life. If you are looking for the perfect diamond as a gift or for yourself, we have a great selection. If you need help choosing, we can guide you and can get to you the exact shape, cut and clarity you are looking for.